Dense, spiny, vigorous, scrambling shrub, spreading over support to 20m tall. Stems are red-brown and long, arching and tough. Older stems have sharp spines. Introduced originally as a hedge species. Oval leaves green above & silvery or scaly brown on undersides. Hanging clusters of small, white fragrant flowers (Mar-May), followed by reddish-orange, drupe-like fruit (18 x 10 mm). Very tough, suckering rootstock. Extreme longevity, scrambling, spreading growth form and suckering roots, means it can form dense stands that slowly smother all other plants to canopy height. It can alter soil nutrient status by nitrogen fixing, affecting which native plant species can grow there. Not grazed. Tolerant of drought, wet, high to medium-low temperature, wind, salt, most soil types, and moderate shade. It prefers higher light levels and invades all types of shrublands, open areas within forest, roadsides, and rank areas. It is also able to invade even relatively shady sites, where, because it is extremely long-lived, it can await a light gap. Birds, and possibly possums and goats, spread the seed. Seed, while uncommon further south, is produced prolifically in Northland. Layering stems and suckers are spread in dumped vegetation. Common sources are old homestead and farm sites, roadsides, hedges, and tips. How much of it do we have on the Whangarei Heads Peninsula? What can we DO about it at Whangarei Heads? Elaeagnus, while seemingly slow to spread, once established becomes the dominant vegetation and is extremely hard to kill. Killing while it is still small, or even while it is an individual large shrub rather than a dense inaccessible thicket is key. 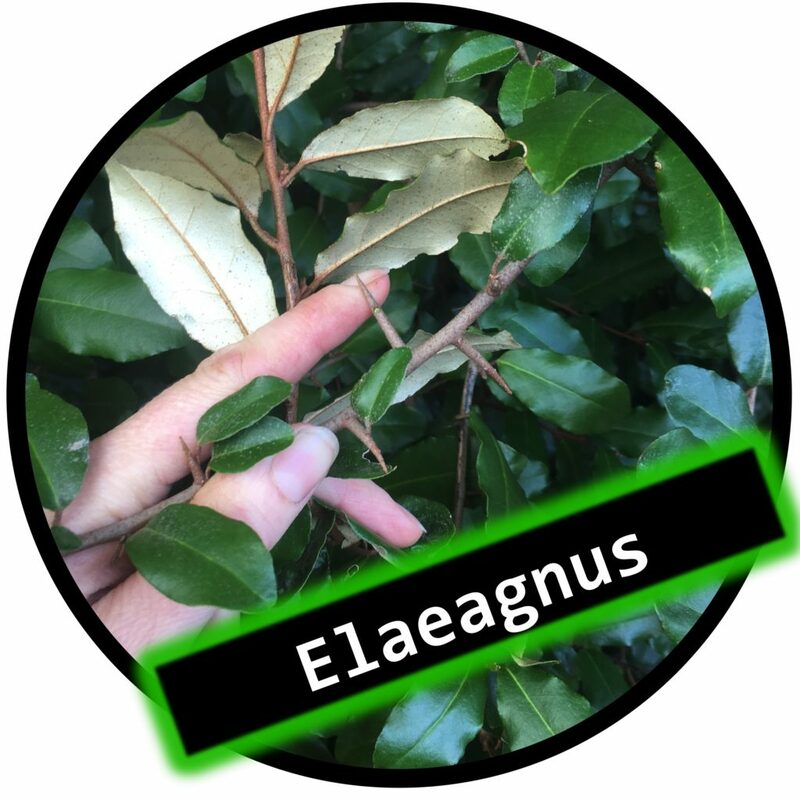 Our aim is to support all landowners to undertake control of eleagnus to push it back toward McLeod Bay, and to then tackle the core of the infestation to protect Mt Manaia and Mt Aubrey, the northern faces of which are being significantly degraded by elaeagnus. Roadside control is being undertaken by WDC/NRC, focusing initially on the section from Ocean Beach to Taurikura. Special disposal notes: Cut stems can layer and resprout where in contact with the soil. Hang up off the ground to dry out, pile up to dry out and burn. Additional safety note: Wear gloves and eye protection when working with Elaeagnus as its spines can cause injury. Dig out/mechanically remove, if possible. 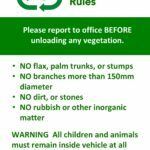 Hang up small plants of the ground, or dry and burn roots and stems, or bury deeply, or dispose of at a refuse transfer station. Cut stump application (usually suitable for smaller plants only): Cut at ground level & treat stumps immediately (within 30 seconds) with picloram gel, or with ready-to use X-tree Wet & Dry®. Undiluted Tordon Brushkiller® can also be used but extra care is required when working with undiluted herbicides. Follow up likewise on suckers. Any cut stems should be hung up in surrounding vegetation, disposed of at a refuse transfer station, dried and burned, or buried very deeply. Drill & fill: Drill (c.12mm drill bit) sloping holes into the sapwood at 10cm intervals around the base of the trunk, and fill immediately with (50 g metsulfuron/1L water litre water). This is highly concentrated and needs to be kept agitated to keep the granules in suspension. Undiluted Tordon Brushkiller® can also be used but extra care is required when working with undiluted herbicides. Best done in autumn. Frill and fill: Make deep downward cuts into the sapwood around the base of the tree, taking care not to ring bark the plant. Immediately fill cuts with picloram gel, or saturate the cuts with (20g metsulfuron and 250ml glyphosate/1L water), or undiluted Tordon Brushkiller® , to the point of runoff. Wait until the liquid subsides then apply again. Extra care is required when working with undiluted herbicides. Usually only suitable for simple trunks, not those with multiple suckers. Spray with (100ml Tordon Brushkiller® + 5g metsulfuron +10ml penetrant/10L water), on smaller plants and regrowth (wait for healthy hardened off foliage). Avoid peak summer and periods of drought stress. Extremely hard to kill. Repeat treatments needed. Wear gloves and eye protection when working with Elaeagnus as its spines can cause injury. CAUTION: when using any herbicide or pesticide PLEASE READ THE LABEL THOROUGHLY to ensure that all instructions and safety requirements are followed. Click here for more information on the herbicides referenced in the control methods, or here for more information on the suggested techniques.